For the employed members, who are under private companies, their employers are responsible of maintaining their SSS contribution. Those who own a business or are not under any company, they fall to the self-employed category, and they will be in-charge of their regular SSS payment. For those who are not employed, but would like to continue their SSS contribution, they will belong to the voluntary coverage. 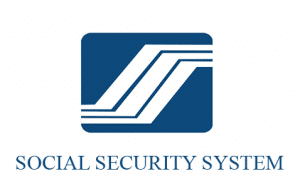 Separated members– these are the SSS members who have been separated from their employment or are not a self-employed anymore, yet they want to continue contributing. Non-working spouses- these are persons who are legally married to actively paying SSS members, but are not employed. Overseas Filipino Workers (OFWs)- Filipinos from the Philippines who are employed or are legitimately staying in a foreign country. Go to the nearest SSS branch. Fill out personal details on the SSS E1 form. This form can also be downloaded. Submit E1 form together with photocopies of birth certificate and valid IDs. Wait for a copy of the E1 form. The SSS number will be at the upper portion of the form. Pay contribution under voluntary coverage. For those who are already SSS members and they want to change coverage to voluntary, they do not need to update their employment status. All they have to do is pay contributions using the SSS Form RS-5. They can visit the SSS website for more information. ask ko lng po, my sss number na po ako,, kaso ndi ko pa nahuhulogan,. ilang taon po ba bago maging inactive ang sss number?. wala pa po ako hulog 1 year na po. ngayon po balak ko maghulog as voluntary ano po mga kailangan for voluntary member. my kailangan pa po ba requirement or magbabayad na agad as voluntary. ty po. Hi mam. Pag magpapa member po ba ng sss. Kailangan po ng Birthcertificate? Pwede po bang postal id at police clearance po? Hndi na po ung bcertificate? . Hi po mag aaply po sana ako ng SSS widowed na po ako ano po ba mga need ko ipasa na requirements may 2 anak po ako ano po ba ang dapat ko po ipasa at ano po dapat ko filled up pan..Salamat po pa send naman lo ako ng mga requirements sa yahoo mail ko marygraceaquino506@yahoo.com. you must first at least have an SSS number. have you filed an E-1 form(Registration)? Hi Mam. ask ko lang po,, if pwede magpa member po sa SSS pero wala na po akong work sa ngayon.. But i have support with my boyfriend… pwede po ba ako mag apply ng SSS? ano po ito sss at paano ko rin maggamit f mkahulog nako ng 1 yr or more than 1yr. pls i need details about SSS. Thanks mam.. I hope u response po! Hi. Sabi po specifically sa SSS website ngayon na “An unemployed SSS member who has no previous SS record of coverage or contributions cannot just start paying contiributions as a Voluntary Member for the sole purpose of qualifying for an SS ID Card or SSS benefits. Such contributions shall be deemed invalid and duly returned/refunded. Voluntary Membership is solely for previously employed/self-employed/OFW members.” Possible parin po ba mag apply for voluntary membership by filing ‘yung E-1 form then paying under voluntary coverage? Hello. You can only be a voluntary member if you are previously employed and already separated; if you ceased to be self-employed; if you are previously an overseas Filipino worker member; or a non-working spouse member. Hi po Admin. gusto ko lang pong itanong if may possibility po ba makapag member pa po ang mga magulang ko? They are 51 yrs old na po. If ever man po na pwede magkano po kaya ang ihuhulog? Thank you po, Hoping for your quick response. Did SSS already issue you your SS number? Take note that voluntary contribution is only applicable for a member who is separated from employment or ceased to be self-employed/overseas Filipino worker/non-working spouse. In other words, you cannot contribute voluntarily if you are not any of them. 1. Be employed, so you and your employer will contribute your SSS. 2. Register as self-employed/overseas Filipino worker/non-working spouse, whichever is applicable, and contribute based on the applicable rates of contributions.